Due to the rapid nature of software development, the current version of Schema Premium may differ slightly from what is shown below. 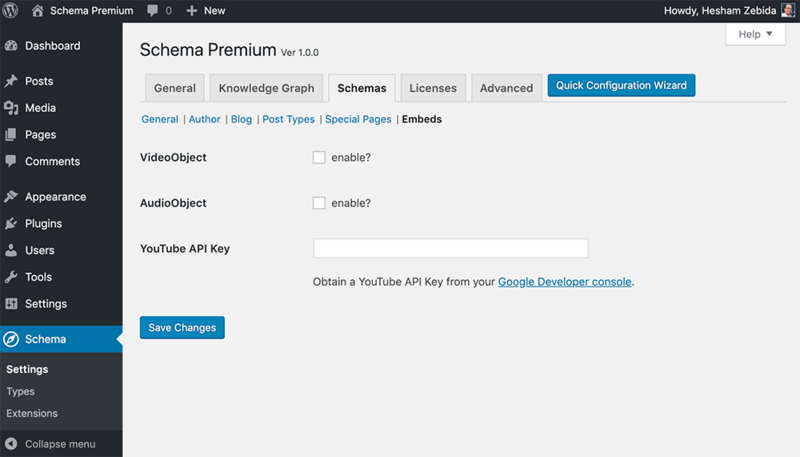 Schema Premium has support for several schema.org types and allow you to control where each type is enabled across your site. Shown below is the screenshots of Schema > Types section of Schema Premium settings. 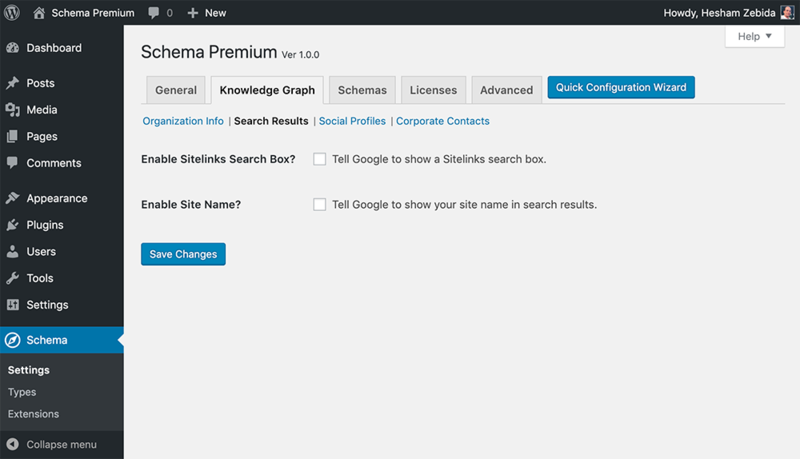 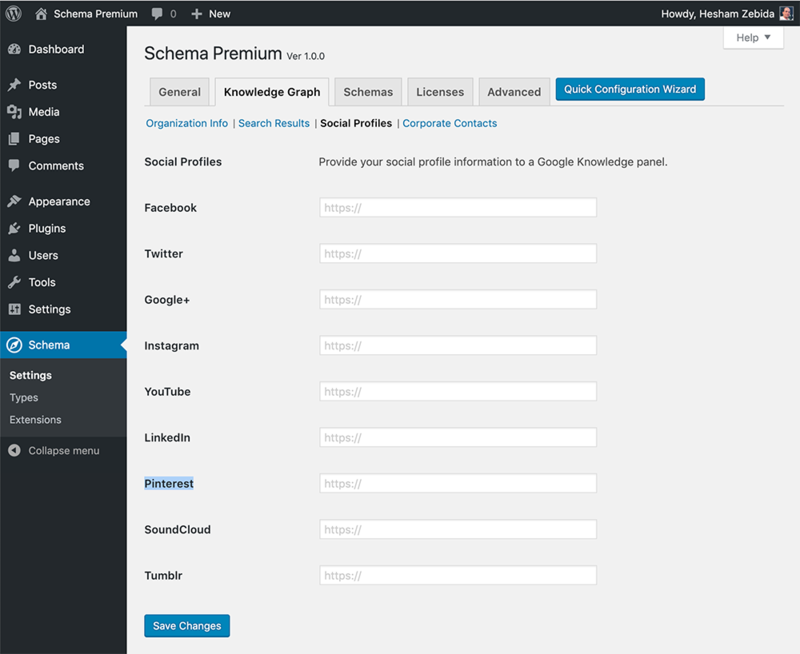 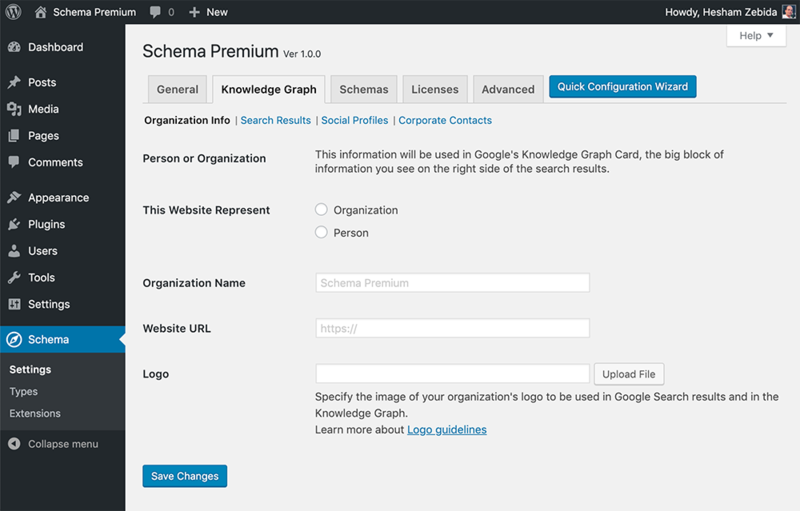 Schema Premium allows you to effectively manage your site markup via a new “Schema” section in the WordPress admin. 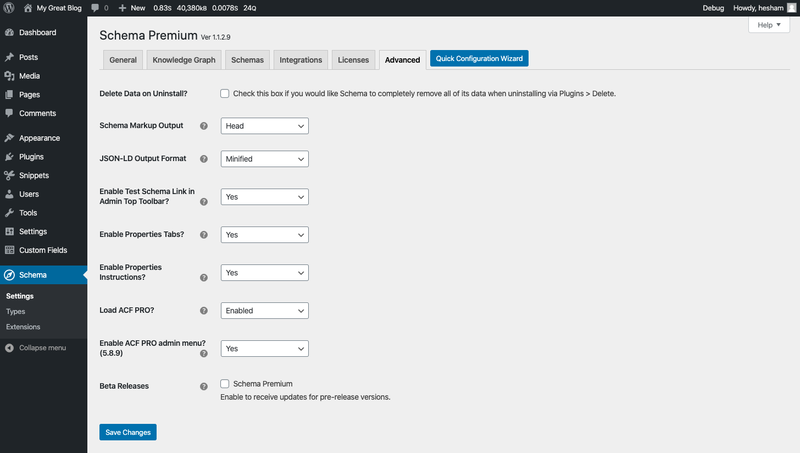 Schema Premium provides a seamless experience by beautifully integrating with the WordPress admin.